A blog cannot exist without community: There should be repeat visitors who are looking forward to your articles, share, comment, give you feedback, etc. A blogger without community can quickly burn out. 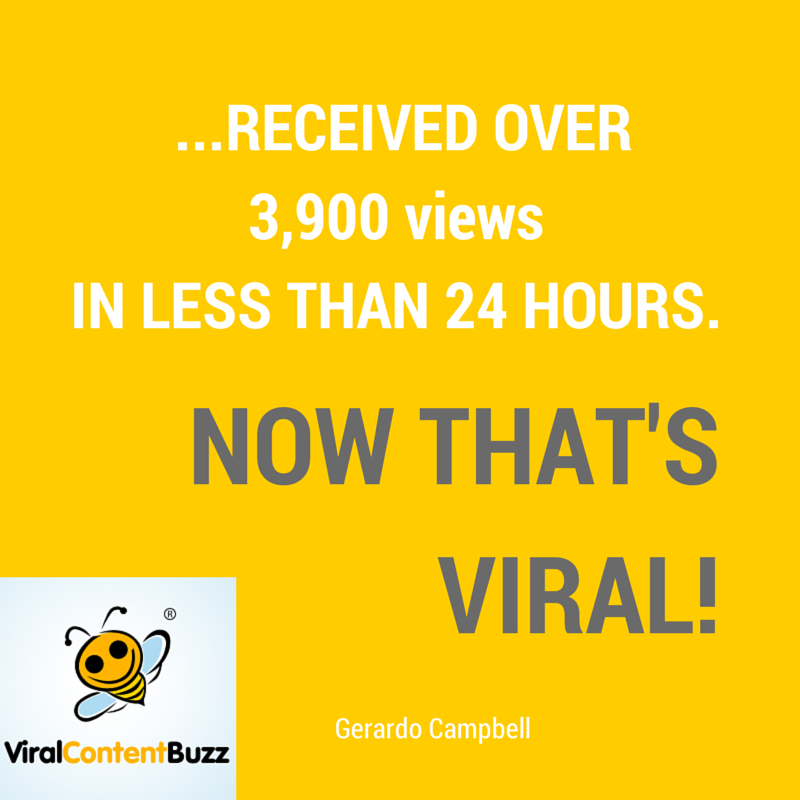 Your community helps you promote your content, inspires you, helps with all your endeavors. But how to get people become part of your community in our era of too many communities? How to get them stick to yours where there’s such a variety of social media networks and blogs to spend time at? One of the most effective solutions is to start building your community outside of your blog and then keep in touch with your readers via email list and possibly Twitter chats and events. MyBlogU is a perfect place to find people willing to spend time on your site thanks to the collaboration atmosphere we are building there: People contributing to your articles are much more likely to comment on the final piece and share it on social media. MyBlogU users report a much more engagements with their MyBlogU-powered content than with their regular articles. Your collaborators will receive email once you mark any of the ideas as published (by providing a URL). That also increases your MBU rank! Each email notification will drive your collaborators back to you or your site encouraging them to engage with you and your comment. Make sure to use MyBlogU WordPress plugin to keep an eye on MyBlogU notifications from within your WordPress dashboard. While auto-notifications are useful, talking to your collaborators is essential for actually building those relationships. Make sure to thank all of your contributors and collaborators right in your article: That’s how you draw them to your site! Connect to your collaborators on social media prior to publishing your article and tag them immediately after you hit “Publish”. 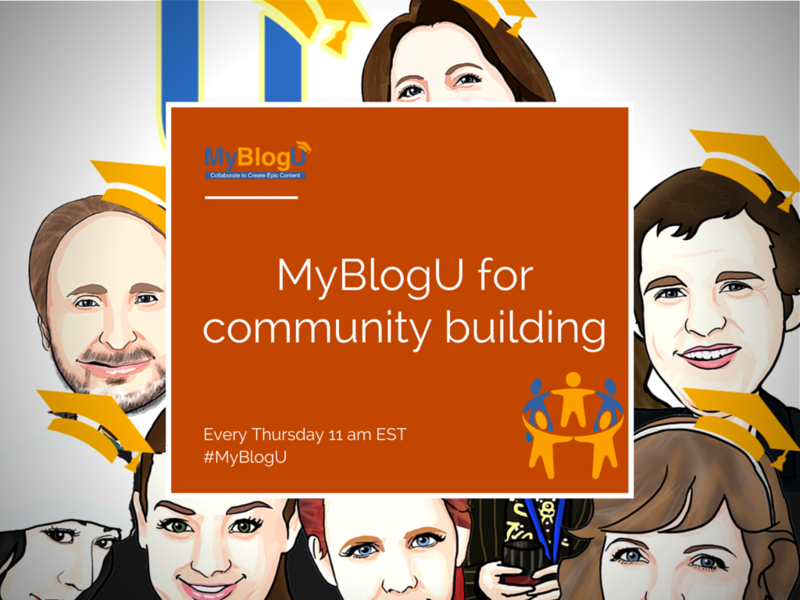 Here’s more on building your Twitter following using @MyBlogU by the way. Make sure you actually invite your contributors to comment and install “Subscribe to comment” plugin to give them an option to subscribe to your newsletter once they leave a comment. I am using Mailchimp plugin to collect those leads but there are more options depending on your email marketing solution. Last but not least, your content matters. People love discussing trends and MyBlogU is an awesome resource for crowdsourcing content around trends. Here’s one of the many examples of MyBlogU-powered expert interview around a currently hot trend. 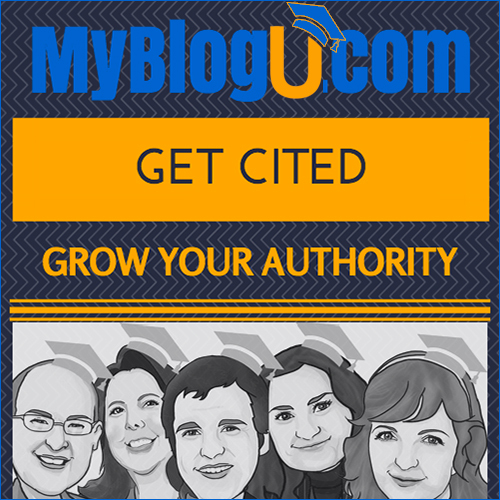 Use MyBlogU to collect different and even contradicting opinions to spur discussion on your blog. Make sure you select good questions which you know most of contributors have different opinions on. Building a community is a long-term difficult process but it’s nice to have a platform that can form the core of your own blog community. How are you building your blog community? Please share your community growth hacks! You noticed right that for the community building it is important to encourage visitors of the site to post comments. It doesn’t matter how many visitors visit your site if they do not interact with the site that is they leave no comments or likes – so they do not become a part of your community. Yes, you need to be your community most active member, otherwise it won’t work! I think community building is really very interesting activities.